Location: 7 miles south of Lahaina. Good for seeing: Hawaiian green sea turtles, healthy corals, white spotted moray eels, black durgeon triggerfish, parrotfish, goat fish, octopus, peacock grouper, and the rare manta ray. Should you decide to upgrade to a snuba dive, the chances of hearing whales underwater (from December-April) and seeing green sea turtles are almost guaranteed. Reasons we might not snorkel here: During the summer months there can occasionally be south swells which bring large surf to the shores of Olowalu, and because it’s at the mouth of the Olowalu Valley the winds can occasionally funnel through here and make the water unsafe for swimming. If the surf is too large on the north shores, and the wind too strong at Olowalu, we will often head to the offshore reef of Launiupoko. 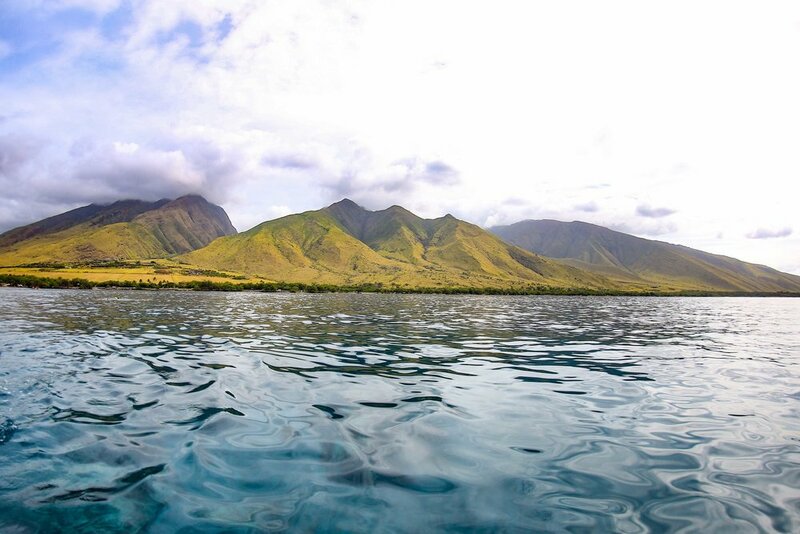 History: During the days of Ancient Hawaii the Olowalu ahupua’a (land division) was home to a thriving population of native Hawaiians, and all that was needed to sustain life was found in here at Olowalu. Pigs were hunted in the valley’s uplands and a fresh water stream ran through the valley enabling the Hawaiians to grow crops such as taro. Along the shoreline limu (seaweed) was gathered and an abundant supply of fresh fish was found on the reefs and waters located right offshore. Modern day visitors to Olowalu valley can even make out ancient petroglyphs which are carved into a rock face known as Pu’u Kilea. With the arrival of Western explorers, however, tranquil Olowalu Valley became the site of one of the bloodiest conflicts on recordbetween explorers and native Hawaiians. An explorer by the name of Simon Metcalfe was anchored off the coast of Hana in early 1790 when a small boat of his was stolen by native Hawaiians. One of Metcalfe’s men was killed in the skirmish, and when Metcalfe turned his cannons towards Hana he was informed that the men who had stolen the boat were actually from the village of Olowalu on the other side of the island, and he search for them there. Sailing around the southern coast of the island to Olowalu, Metcalfe invited the local Olowalu villagers to join him on the ship. As dozens of villagers paddled their canoes out towards the vessel, however, Metcalfe ordered that his men open fire. The result was the death of over 100 innocent Hawaiians in an event which has come to be known as the Olowalu Massacre. 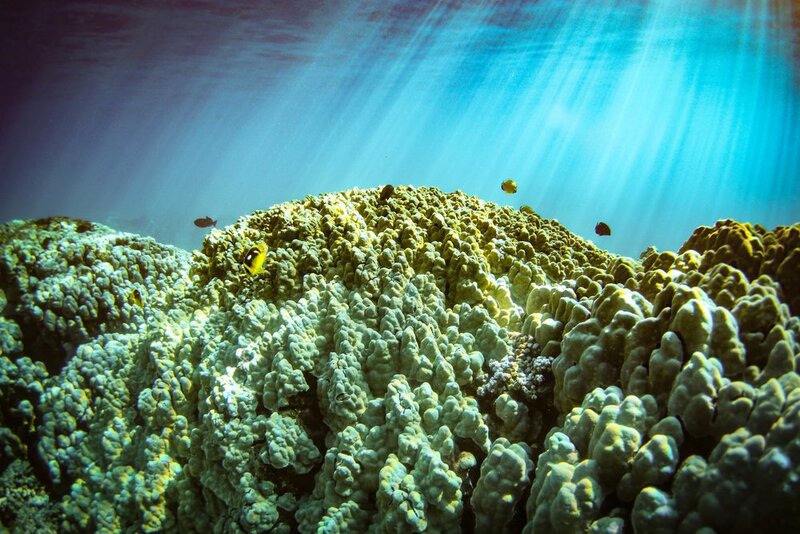 Trips Offered to Olowalu: Our Discover Olowalu tour snorkels here with relative frequency, and our Discover Ka’anapali and Discover Molokini trips will head here if the wind or surf conditions aren’t favorable at Honolua Bay or Molokini Crater. The Voyage of Trilogy IV - Phase 1: She Floats!